For a brief period of time, before I started high school I was basketball crazy. My favorite show was NBA Inside Stuff, and I watched NBA on NBC religiously. I would read the box scores, and I knew just about everything on the game from A to Z. I vividly remember my friend Akil Dashields wearing a royal blue 76ers Starter jacket during a time when everyone was wearing either the UNLV Running Rebels, Georgetown Hoyas, Los Angeles Raiders or Philadelphia Eagles. Not only did I want to get a 76ers Starter jacket of my own, I wanted to one day grow up and play for the team. I recently read Kevin Hart’s book, and I’m happy to know that I wasn’t alone in my aspirations to play for the home team. Then one day, I realized that playing pro ball wasn’t going to be my calling, however I did everything in my power and education to make sure I could get to the League in a different capacity. My father would always say to me in amazement that I’m a go-getter, and whatever I put my mind to, comes to fruition. My mother encouraged everything I wanted to, including driving me to morning basketball practice before school. Covering the games, and personalities for a living is a dream come true. I work very diligently on my craft as I push myself to achieve higher. 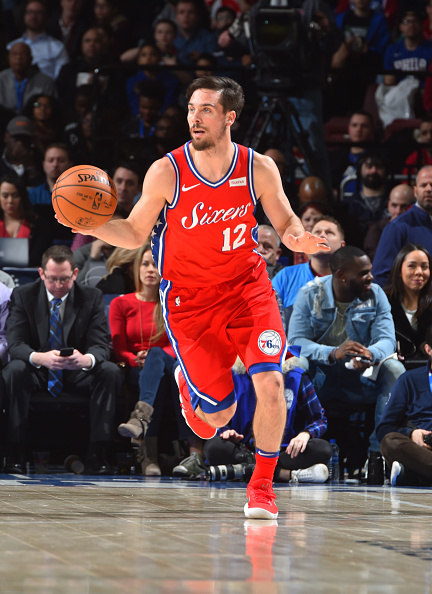 When I watch the Philadelphia 76ers, I can’t help but to root for TJ McConnell. He plays hard, makes good decisions, and he has the respect of his peers. He wasn’t drafted, and has had to prove himself time and time again. 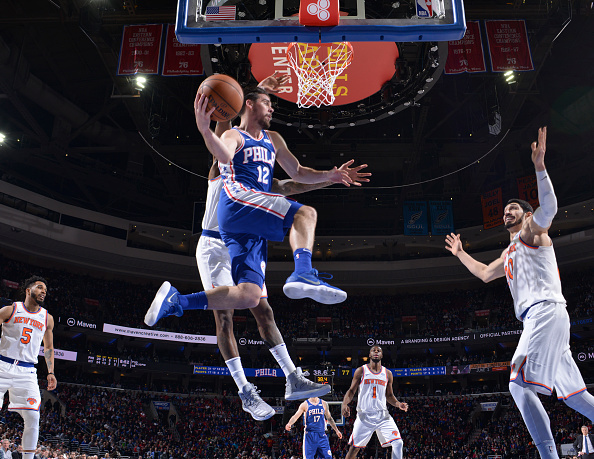 Last week, he notched his first career triple-double becoming the first Sixers’ reserve to do so in franchise history, finishing the game with 10-points, 10-rebounds, and 11-assists, in an 108-92 victory over the visiting New York Knicks. 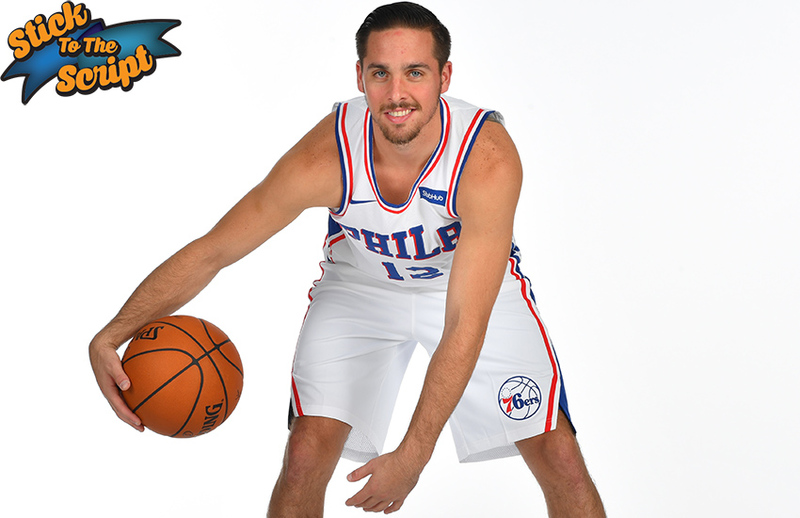 I spoke to TJ before the All-Star break and he was nothing but humility and professionalism. When did you know that you could really play in the League? I think it was some point last year…that run we made in January was just special. I thought I could play in the League my first year. No one really believed, we won 10-games…it’s just always been a mindset with me, I’ve always felt that I’ve belonged. Did you feel that way in college? I never really thought about it to be honest. I was just thinking about the team there and it didn’t even cross my mind until after the season. Once basketball was all done? It seems like the more you play, the better you get. You’ve gotten a lot of opportunities and you’re making the best of it. 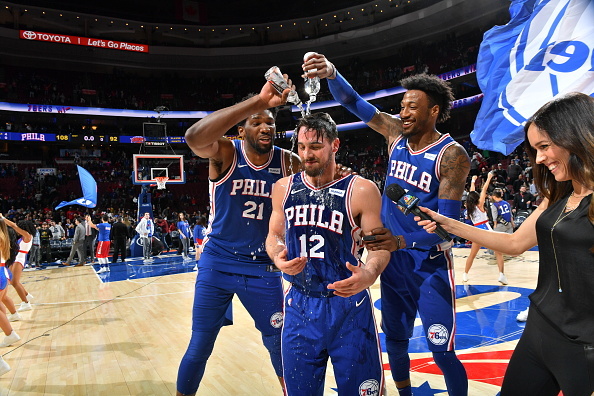 I mean, I think you pretty much nailed it, when you play a certain amount of minutes, and you know you’re going to get a good amount of playing time, it raises your confidence level a little bit, knowing that you have a little bit of—I don’t want to say free reign, but you can make mistakes and you’re not going to get yanked out. That helps a point guard’s confidence and mentality, and it’s been great for me to get this experience and I just need to keep building off of it. Last year you were on an episode of NBA Inside Stuff, what was that like for you? I mean it was cool man…being able to go there and do that segment and it was just like a wow moment for me and my career, and something that I’ll never forget. Last season you also nailed a game-winning buzzer-beater against the Knicks. This year you notched a triple-double and you’ve remained the same guy amidst all the fanfare. Yeah, I mean I try not to stray away person I am or the player I am. I want it to be all about the team and for us to win. 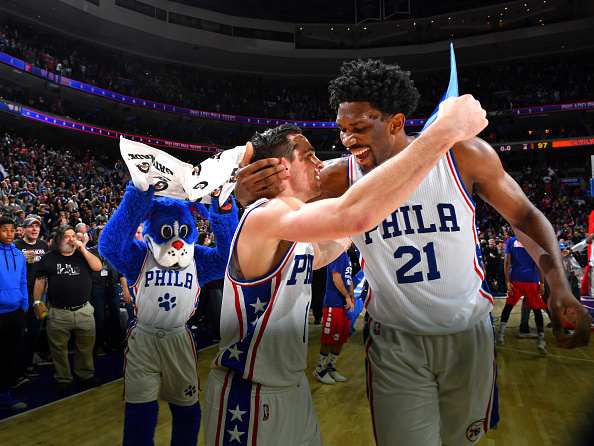 What’s it like playing with guy like Joel Embiid? I mean, you can’t really explain playing with a guy like him. You shouldn’t be able to do what he can do at 7-2. Yeah sometimes he’s in the backcourt with you. Exactly, and in my personal opinion I think he’s one of the hardest people to guard in this League. He’s such a mismatch for everyone. He can bring you out to the three-point line or he can post you up, and he’s a good teammate, man. A lot of guys in his position would react differently and be a lot more cocky but he’s all about the team and that’s what we love about him most. Even when you know—bigs can’t create their own offense and when he wants the ball—he comes up and tells you about it like brothers do and then we get over it and move onto the next play. How does he help your game? He spreads so many teams out, when they try to close out on him, he drives to the basket…dishes or scores. He’s an offense starter in so many ways—he opens up the floor, he’s in transition, he’s a phenomenal screener—he just gets people open. I don’t even think he knows it. He just does everything for us and he helps all of us out.